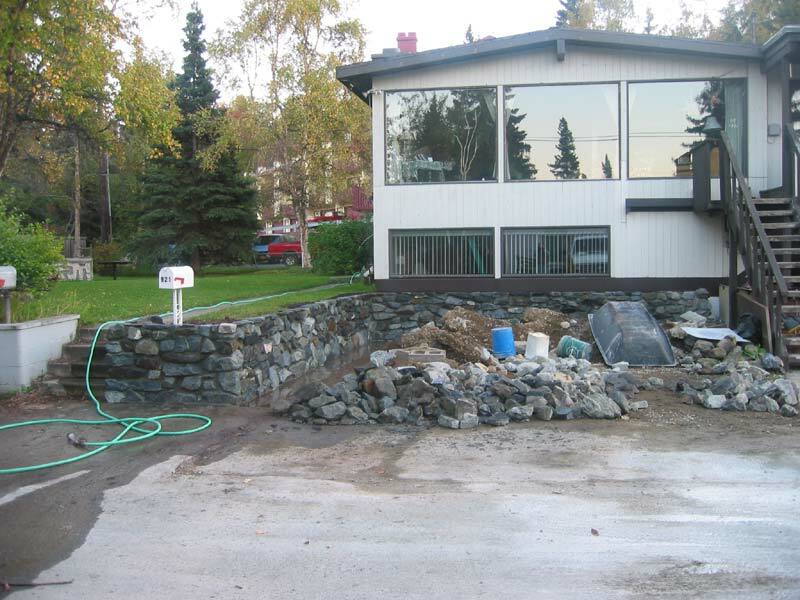 This Summer I built a 50 foot long retaining wall at the house I'm renting in Anchorage. The wall keeps the lawn from slumping into the parking areas and provides planter space in from on my living room windows. You can see here that I've poured a 8"x12"x12" footing for the wall. I removed the dirt away from the north wall of the house and placed 2" of foam insulation (R-10) against the wall. 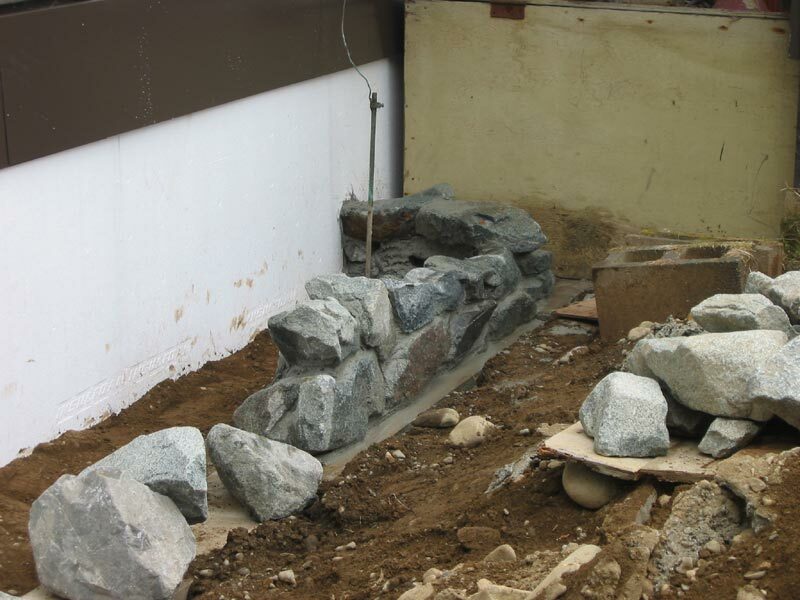 In this photo, I've started laying up the stone. You can also get a look at the foam insulation against the house foundation and a custom made flashing that covers the insulation. 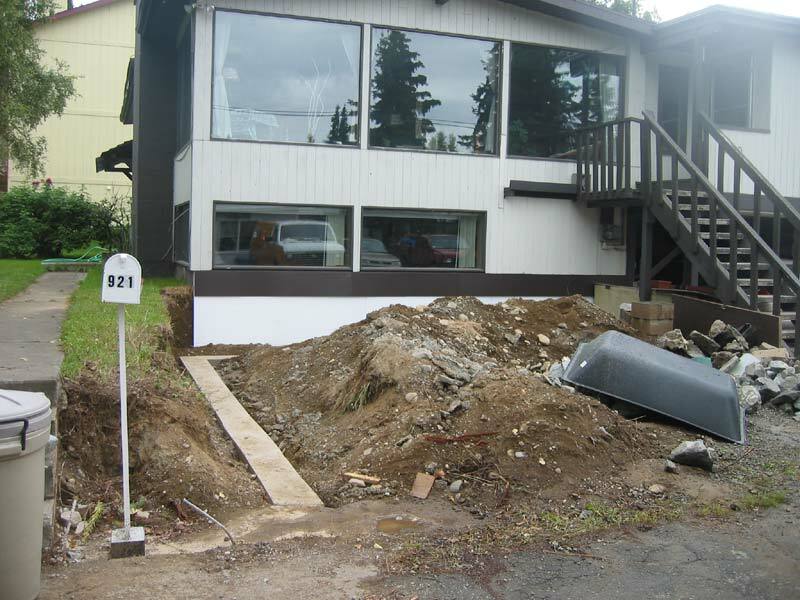 (The flashing is about 1 1/2 inches below the finish grade of topsoil. 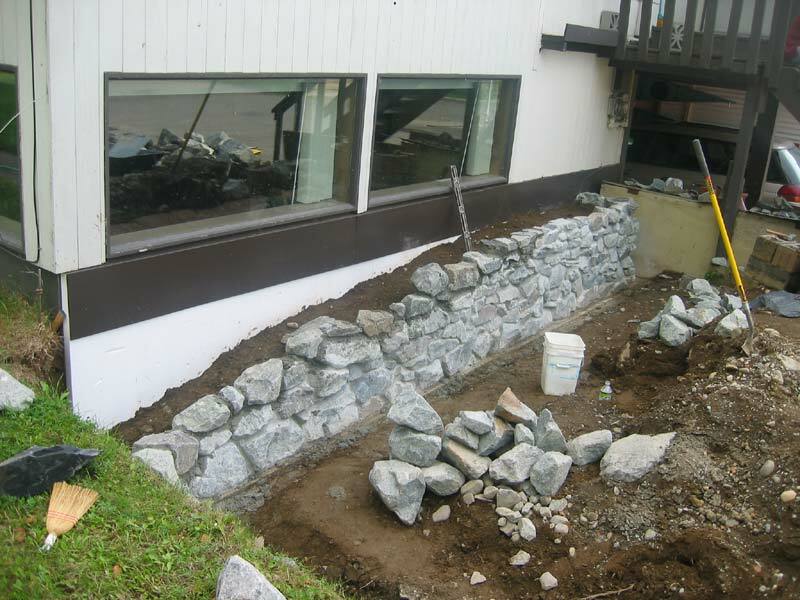 I've finished much of the planter wall on the north side of the house. I've backfilled the wall with fill as it's being finished. The wall is mostly complete. Note the Mortar Box laying upside on the pile of fill dirt. I used ready-mix mortar (1 part lime, 1 part portland, 3 parts sand) and hand mixed in the box. I've just finished washing the wall with Muriatic acid. (30% Hydrochloric acid mixed 4 parts water to 1 part acid). The acid was applied with a hand pump garden sprayer, then wire brushed and rinsed well with water. The rocks for the wall came from a variety of places. 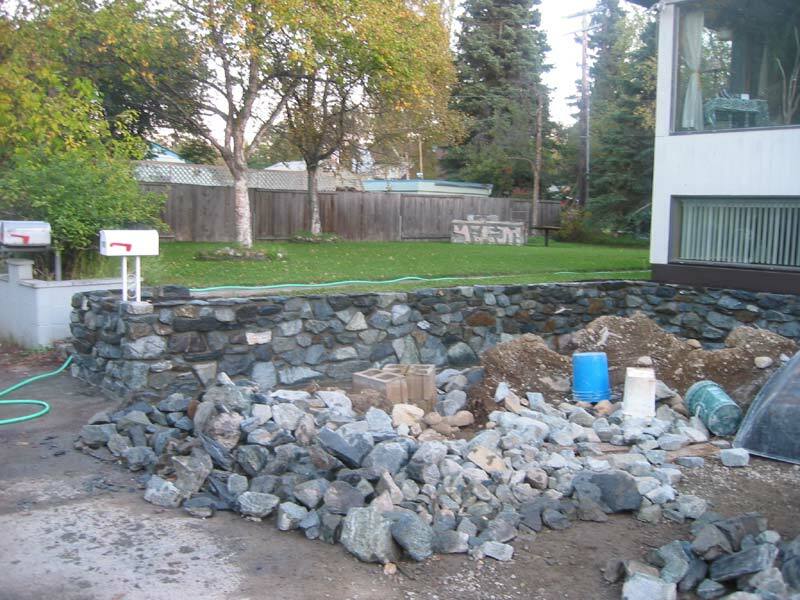 We had five tons of granite delivered from Alaska Sand & gravel. 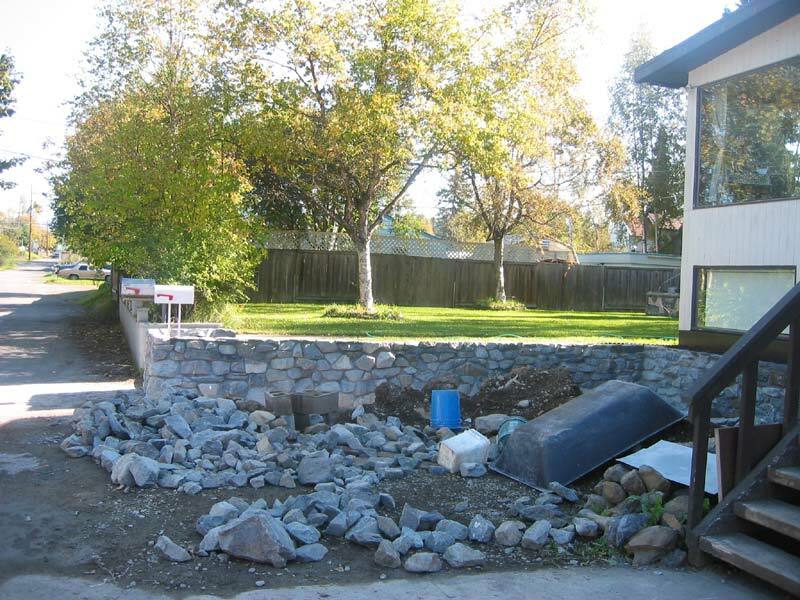 The granite was supplemented with another 3 tons of rock collected from several free locations. 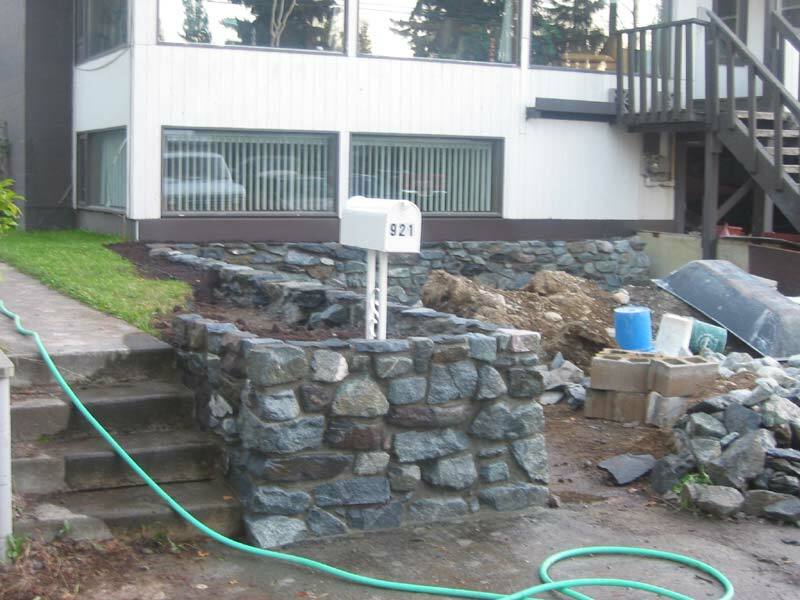 As you can see from this close up, the wall wraps around and doubles back to provide additional planter space and a secure location for the neighbors mailbox. You can see that I've added a layer of about 4 inches of topsoil above the fill dirt. 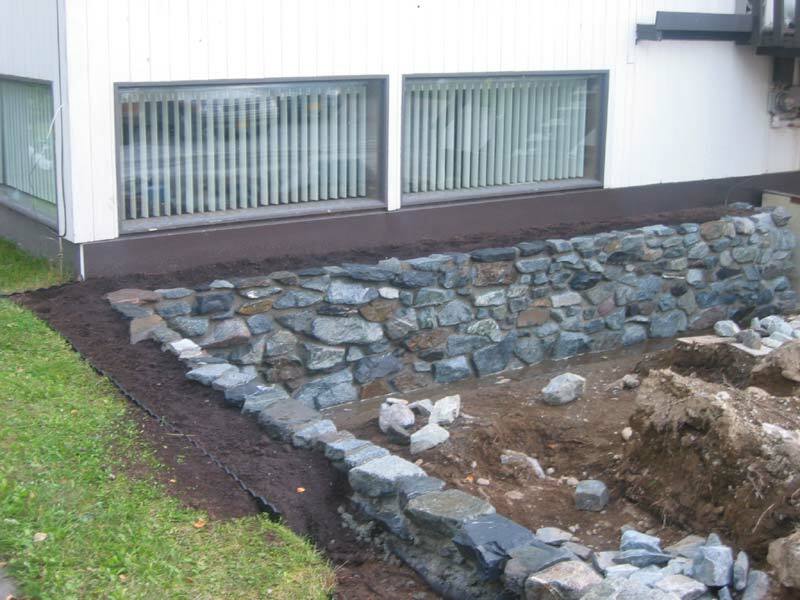 A plastic barrier was added under the topsoil. Here is a close up of a section of the wall. 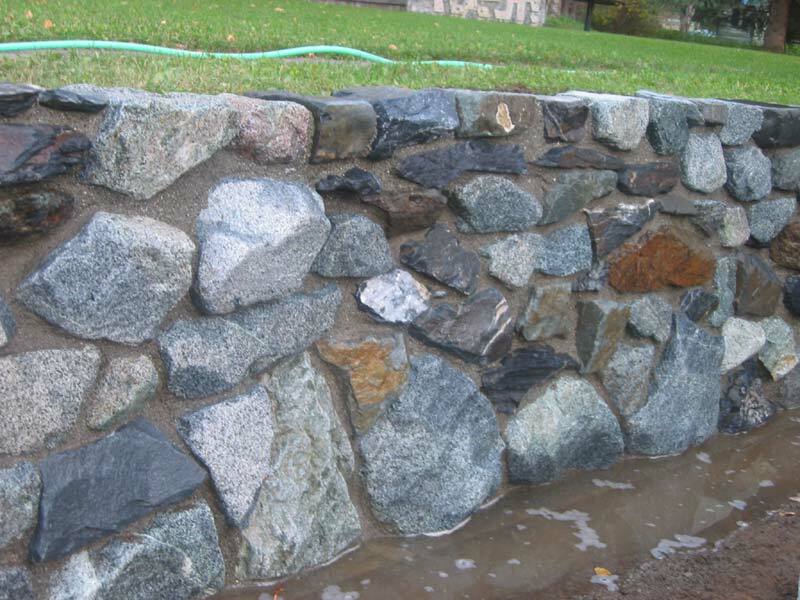 The wall is mostly granite with enough other rock to add a nice variety of color and texture. The mortar was allowed to set up in the joints and finished with a scrub brush and water to expose the aggregate in the mortar. As of December 25, this is all you can see of the wall. 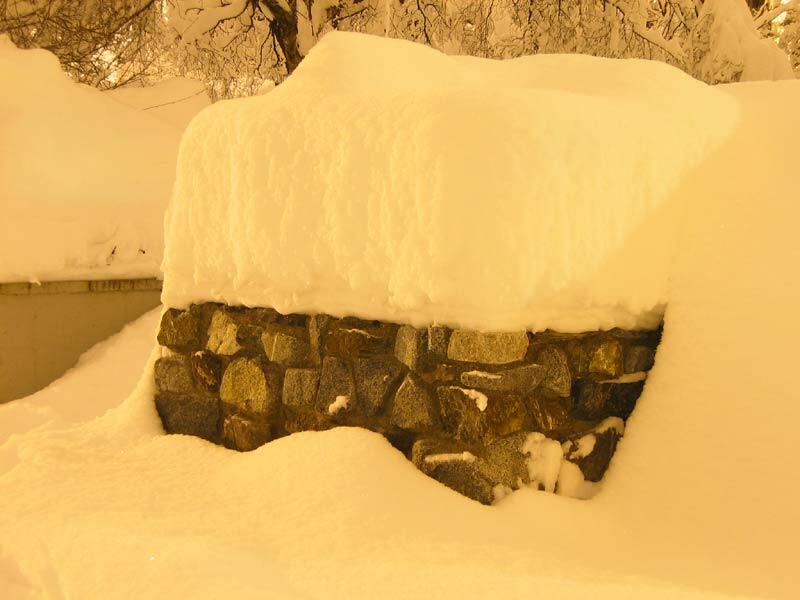 So far this winter, we've had 63 inches of snow. I guess the new wall will get a good dose of "seasoning" this winter! You can't see it in this photo, but the neighbors mailbox is buried under the snow somewhere.